It’s time to invest in a Nest Smart smoke and carbon monoxide alarm to ensure peace of mind from fire starting in the home. The Split-Spectrum sensor is industrial grade and has been designed to detect different types of fires, whether fast or slow burning, as well as detection of deadly Carbon Monoxide leaks. The alarm is wired directly into the mains, therefore you don’t have to worry about changing the battery, although there is a backup battery in case of mains power failure. There is also a control system that allows the alarm to be controlled remotely by a smartphone type device via and app, as well as sending text alerts to the user. 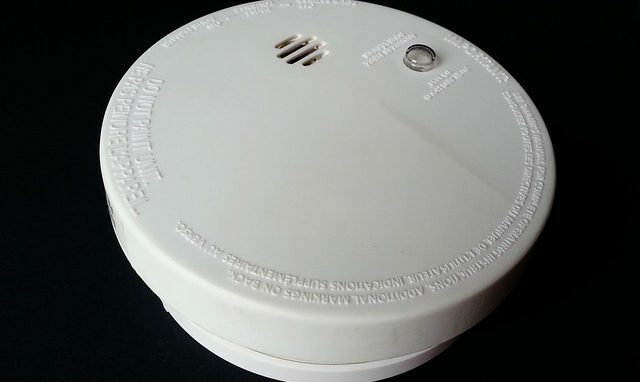 The Alarm volume is 85dBA Alarm so it’s loud enough to wake up anybody inside the house to alert them of potential danger from fire or carbon monoxide. Or if the alarm sounds when you are not home there is a remote override; when your home is safe you can deactivate the alarm and it then resets. Includes a 2 Year Manufacturer’s Guarantee. Price is around £90 from ScrewFix Direct.